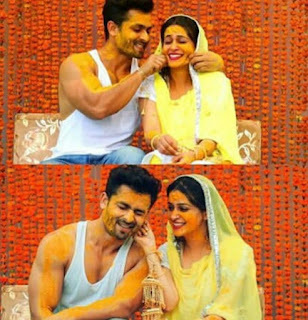 Sasural Simar Ka fame Dipika Kakar-Shoaib Ibrahim the both TV actors are all set to tie the knot on 26 February 2018.On Tuesday, they have share some pictures on instagram from their haldi ceremony.at Haldi ceremony Dipika kakar seen in authentic yellow dupatta,while Shoaib was seen in denim and white vest. 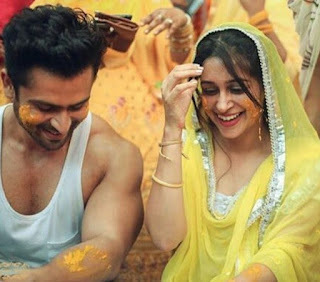 Out of all ceremonies Some ceremonies will be held in Bhopal which is Dipika kakar home town and others will be held in Madaha village near to Lucknow, Uttar Pradesh.Dipika Kakar-Shoaib Ibrahim Close friends Jyotsana Chandala, Falak Naaz and Abhishek Sharma will als attend this private marriage ceremony.Most important news is Both Hindu and Muslim rituals will be followed for the Dipika Kakar-Shoaib Ibrahim wedding. 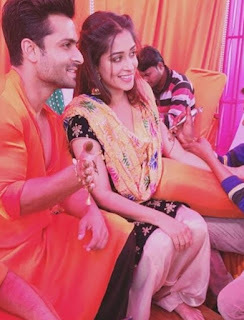 nikaah, haldi, sangeet and mehendi are all part of this cute couple wedding. NEXT POST Next post: The Big Boss Season 11 Contestant Sapna Chaudhary Bridal Song Video Viral.